Inability to walk, sit, climb stairs or even constant knee pain are common reasons to seek knee pain relief. These complaints can make daily life difficult. There are many causes and therapy for knee pain. Therefore knee pain care becomes important part of physician skill to see what helps a sore knee. Concerned doctor has to carefully examine knee pain reasons and suggest right knee pain medicine. What is inside knee joint? The knee joint consist the femur, tibia, fibula and patella bones. There are four compartments of the knee joints – medial and lateral Tibio-femoral compartments, the patella-femoral compartment and the superior tibio-fibular joint. The components of each of these compartments can suffer from repetitive strain, injury or diseases due to high impact on knee joint resulting into osteoarthritis and pain. Osteoarthritis of knee, repetitive injury, strain, high impact exercises; short leg syndrome, knee joint instability and referred pain to knee are major causes of knee pain. Arthritis: An inflammatory reaction in knee called arthritis causes pain. Osteoarthritis knee is caused by degenerative disease of cartilage causing arthritis knee pain. 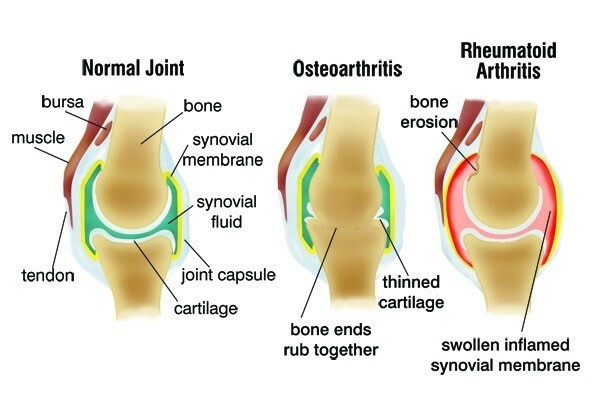 Rheumatoid arthritis of the knee is connective tissue disorder involving whole body including knee joint. Crystalline Arthritis is severely painful situation associated with crystalline substances in knee joint. Bursitis may result from injury, infection or crystalline deposits. Jumper's Knee is overuse sports injury causing inflammation of tendon of muscles in front of thigh. It typically occurs in players of basketball. Osgood- Schlatter Disease occurs in athletes where repeated injury occurs due over extension. It causes injury at tibial tubercle below knee cap. Iliotibial Band Syndrome - It is also sports injury. Distance runners may suffer from inflammation of band running from pelvis to knee. It causes pain outside of knee. Sensory nerves which supplies sensation from the knee come from the back and also provide supply to area of hip, leg, and ankle sensation. Because of common nerve supply, conditions of the hip, ankle, or lower back can be felt as pain in knee. Therefore sometimes, pathology elsewhere can cause painful knee. This fact needs to be kept in mind when managing the knee. Problem in hip, lumbar spine thigh or muscle tendons around and can cause knee pain. Knee pain at night can be nagging issue disturbing sleep therefore whole day. Contrary to common perception, excess weight bearing on knee joint is NOT important cause of osteoarthritis of knee but will make situation worse. Acupuncture is effective in relieving your knee pain most of the time. Acute knee pain can be like in cases of injury or infection. Chronic knee pain is from arthritis or often from injuries or inflammation (such as arthritis) but can also be caused by infection. Conditions like sprained and torn cruciate ligaments, tendon ruptures, meniscal injuries, knee dislocation, dislocated kneecap (patella) can give such pain. Acute knee pain treatment needs emergency care. How do you know why knee aches? X-rays, CT scans, and MRI for knee Pain may be advised as per condition and situation to make knee pain diagnosis. Arthroscopy may also be done in chronic case to examine cartilages or condition of joint from inside. Osteoarthritis of Knee is common cause of pain knee Pain. Depending upon area of knee joint involved, characters of pain may vary and there may be painful areas around joint. It presents as pain, swelling stiffness, flare up and inflammation and feeling of cracking sound in joints. Osteoarthritis (OA) is condition of wear and tear and state of joint after long use and misuse. The primary cause of osteoarthritis is insufficient self-repair by joints after damage from mechanical stress. Stress on joints may be due to misalignments of bones caused by pathogenic or congenital causes; mechanical injury; excess body weight; loss of strength in the muscles supporting a joint; and impairment of peripheral nerves, leading to sudden or uncoordinated movements. You need to remember that exercise, including running in the absence of injury, has not been found to increase the risk of osteoarthritis of knee. X-ray or aspiration of fluid of joint may confirm diagnosis. Knee pain treatment in Nashik with acupuncture pain therapy can relive your complaints including swelling and reduce your dependence on drugs. Body respond to injury with inflammation for repair. Sometimes injury and inflammation is not resolved and inflammation becomes chronic. Such inflammation causes further inflammation and injury. The vicious cycle can be broken by some home knee pain remedies called PRICE. Though it cannot provide knee pain cure, but definitely be best treatment for knee pain in initial stages. For severe knee pain treatment it can be preferred beginning. There are more knee pain relief tips like knee pain treatment in Ayurveda or knee pain massage. Protect	the knee from further injury. Many times there is knee pain when squatting; knee pain when kneeling and knee pain when bending, knee pain while running, causing repeated injury. Knee can be protected from further injury by - knee splinting or padding and pad over the kneecap. Rest or minimising the knee movements is important knee pain treatment. It reduces the repetitive strain placed on the knee and it also gives the knee time to heal and helps to prevent further injury. Ice the knee is one of important remedies recommended for bad knees. Icing the knee reduces swelling and can be used as knee pain solution for both acute and chronic knee injuries. Most authorities recommend icing the knee 2 to 3 times a day for 20-30 minutes each time as knee pain killers. Use an ice bag or a bag of frozen vegetables placed on the knee as knee pain relief products. These are good remedies for knee pain and swelling. Compress the knee with a knee brace or wrap and that is what helps sore knees. Compression reduces swelling and acts as knee pain and treatment. Elevate the knee useful in arthritis knee pain. It helps reduce swelling and knee pain at night. Elevation works with gravity to help fluid that would otherwise accumulate in the knee flow back to the central circulation and is good treatment for sore knees. Over-the-counter pain medicine Common question that arises in patients mind is “what can I take for knee pain?” or “What can you take for knee pain” – simple answer is - Acetaminophen. However no drug is free from side effects. You have limited choice to purchase medicines over the counter for treatment for knee. The fact remains that acupuncture treatment is most effective knee pain treatment. Physicians will prescribe NSAID or similar drugs to alleviate pain. He may also suggest certain exercises. If situation worsen he will finally advise knee replacement surgery. Acupuncture is first choice to treat knee pain. Unfortunately patients waste time with drugs and come for acupuncture at last stage when knee is badly damaged or are advised knee replacement surgery. Had the treatment been in initial stage they might not need surgery. We have treated thousands patients with more than 80% patients getting more than 50% relief. Yoga treatment for knee pain, especially due to osteoarthritis can be effective. Yoga involving full bending or stretching of legs can irritate nerve and exacerbate complaints. Respect warning signal of pain from body when doing exercises. Exercises must be slowly progressive. Sudden load on muscles or must be avoided. Patients report having taken Ayurvedic treatment for knee pain and reported some relief also. Similarly Homeopathic treatment for knee pain has also has some satisfied patients. Acupressure treatment for knee pain has limited scope. Tai Chi treatment for knee pain is similarly effective. Qigong therapy needs special training and can be useful tool of management. Knee pain has many reasons and many of them are difficult to prevent. However you can reduce possibility of such pain considering do’s and don’ts. Stretching muscles around knee keeps it in position and prevent instability therefore injury and pain. Therefore knee pain stretches might help pain. Non-weight bearing knee pain relief exercises like swimming are advised for muscle strengthening. 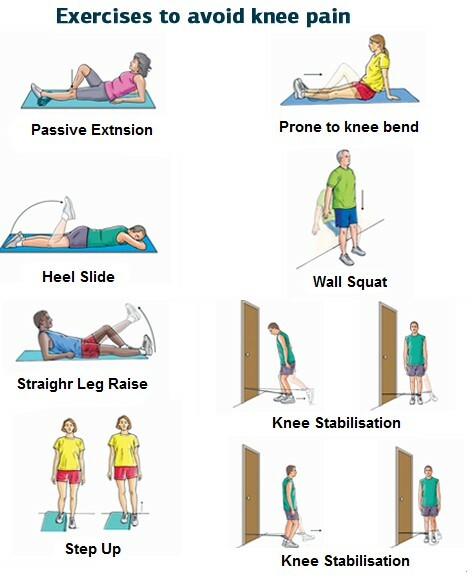 Knee pain exercises play important role in pain management. Protect the knee during sports by knee pads and during driving by seatbelt. 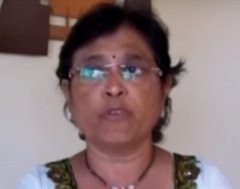 Start walking pain free by acupuncture treatment, without need of medicines or surgery, by MD specialist doctor with 40 years of experience in modern 4.5 Star* rated clinic. Dr Pardeshi Acupuncture Pain Therapy is well known for effective knee pain treatment in Nashik. It is substantiated by one of many patients in knee Pain treatment review.